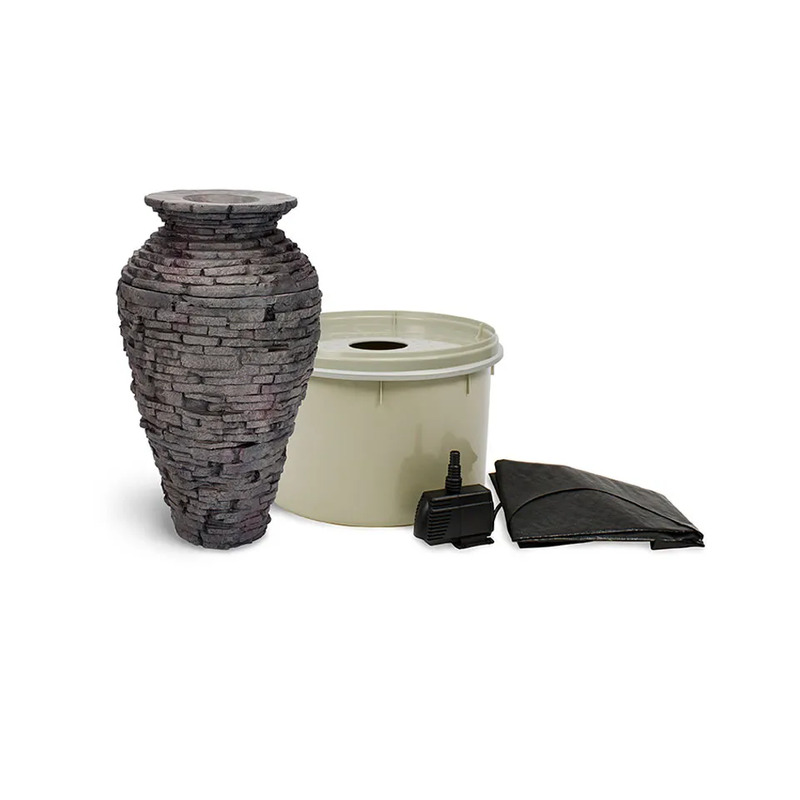 Small Stacked Slate Urn Fountain Kit - Aquascape, Inc. 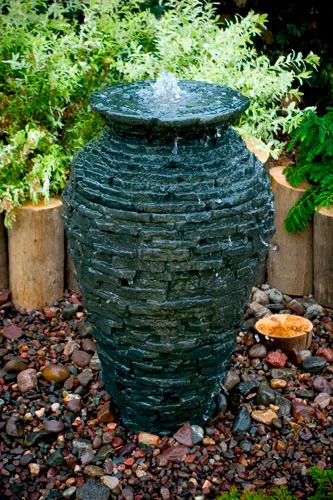 The Aquascape Small Stacked Slate Urn Fountain Kit is ideal for creating an impressive, natural-looking stacked slate urn fountain in any location. The convenient kit includes the water basin, basin skirt, pump, and tubing required for a complete setup. The urn’s durable fiberglass-resin composite construction provides all of the natural beauty of real rock with the added benefits of fiberglass. The natural rock veneer imitates a natural stacked slate design, will not fade or chip, and ages like real stone. The urn measures 32 inches high and 20 inches in diameter and includes the Aquascape® DecoBasin and Ultra 550 Water Pump. Aquascape is passionate about the products we produce, providing unique products, designs, and features that stand above the competition.